It's that time of year -- time to make sure you have a scraper and some extra gloves in your car. Winter commuting season is upon us, Northeast Ohio. 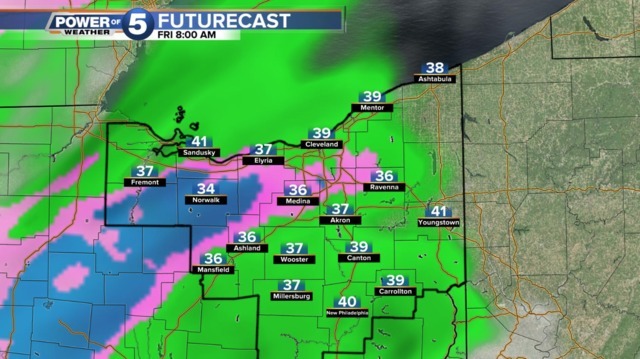 On Friday morning, many commuters in some areas will experience their first slushy commute of the season. While not everyone in the area will experience a rain/snow mix, it will be the first day of a weekend when some of us will be reminded that winter is, indeed, coming. Southern spots will stay warmer, along with the lakefront. Morning commuters traveling south of I-480 and along I-71 and to the northwest will get the majority of the wintry mix. A degree or two could make a big difference in which areas could get snow or a slushy mix. If it gets slushy, just remember to take it slow and consider it practice for the long period of winter driving ahead. We will see a break from the snow Friday night, but another round moves through Saturday morning. 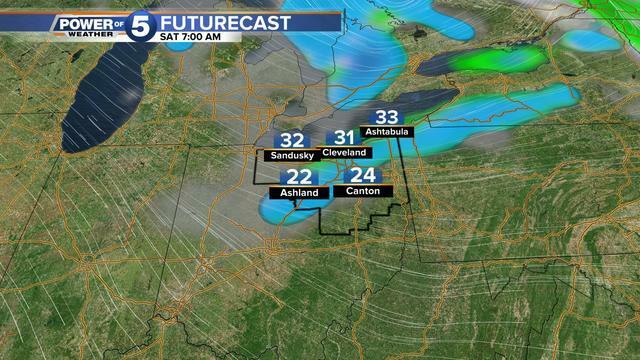 Then we shift to lake effect snow for the Snow Belt through Saturday afternoon. 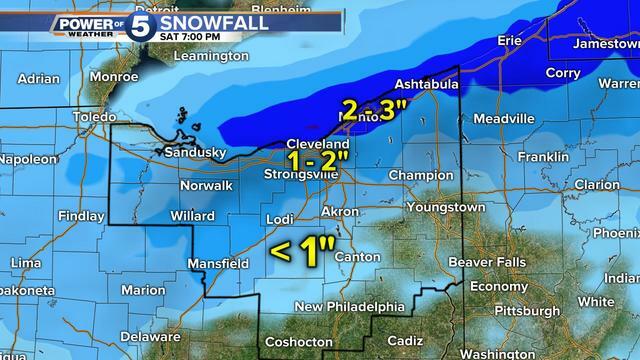 These snowfall totals include both Friday and Saturday. Accumulation will occur on colder surfaces. There will be likely some melting on the ground and roadways.